Norfolk Centre for Young Musicians regularly holds workshops with musicians from Guildhall School of Music & Drama. On Saturday 10 November string players at the music centre will take part in a workshop. 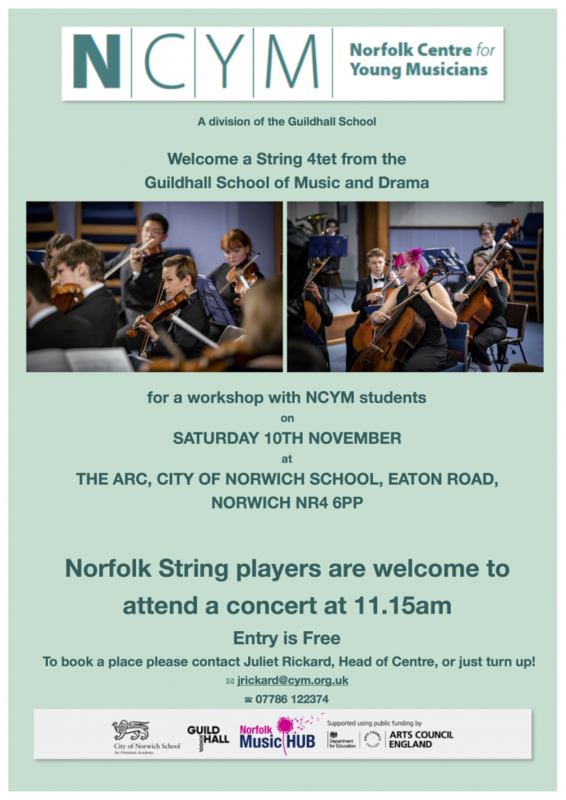 Any string player from across Norfolk is welcome to attend a concert at The Arc at CNS School at 11.15am. More details on the poster below.